Mike Piazza will be inducted into the Hall of Fame this weekend. Given that I've got him as the 15th best player of the last thirty years, it's an honor I obviously believe is much-deserved. I'm not sure there's ever been a Hall of Fame player who made it after less was expected of him at the start of his professional career though, not in the 50+ years the MLB Draft has existed anyway. Piazza was a child of privilege, his father having made a fortune selling cars and real estate. When Piazza was a boy, he received hitting instruction from Ted Williams. Baseball is incredibly difficult though, and even with those advantages, Piazza wasn't viewed as a real talent. As you're probably aware, Piazza wasn't drafted until the 62nd round in 1988, and only as a favor to Piazza's father, a lifetime friend of then Dodgers manager Tommy Lasorda. 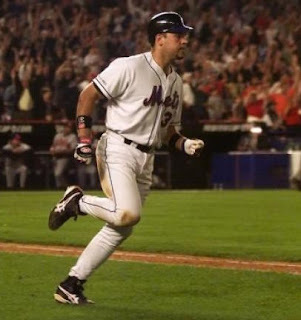 More than 1300 other players were chosen ahead of Piazza that year, but we went on to outplay them all. Piazza was told he would be transitioning from playing first base to catcher, a far more demanding position. His first couple seasons in the minors, he didn't hit much, but in 1991, playing for Single-A Bakersfield, Piazza batted .277/.344/.540, with 29 home runs, second-most in the California League. The next year he started off in Double-A, where he killed the ball for a few weeks and was quickly promoted to Triple-A, where he killed the ball again. In September he was called up for his MLB debut, and there was no looking back. Piazza was an All-Star in 12 of his first 13 full seasons, only missing out in 2003, when he spent much of the year on the disabled list. 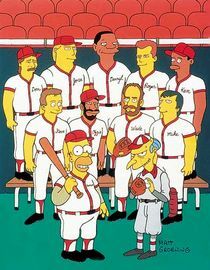 During May of 1998, he was traded to the Marlins for an impressive bundle of talent. He played only five games for Florida before they traded him to the Mets for a much less impressive bundle of talent. Piazza was an All-Star and MVP candidate because of his bat, but he was terrible at preventing base runners from stealing, throwing out only 23.2% of attempted thieves, second-lowest in history among the 122 catchers with at least 6,000 innings behind the plate. At the time, this was all it took to damn Piazza as a defensive player. I personally thought Ivan Rodriguez must have been the superior player, because he could hit and field. In more recent years though, studies have found that Piazza was an excellent pitch-framer (meaning he was good at receiving the ball in a way that borderline pitches were more likely to be called strikes), and very good at preventing wild pitches and passed balls. In short, despite his inability to throw runners out, Piazza was a net positive on defense. Piazza retired with 427 career home runs, a record 396 of them hit while he was playing catcher. He was the best-hitting catcher in Major League history, and unless Buster Posey somehow gets even better in his 30s, Piazza will remain at the top for the foreseeable future. And to think, if not for a favor done for a friend, he might never have gotten the opportunity. I'm struck by that, by the wondering about how many other stars we've missed out on because they didn't have someone to call in a favor for them. For the most part, cream rises, but Piazza can't be the only player who couldn't come from nowhere to excel. Baseball's draft no longer includes 62 rounds, instead ending after 40. How many alternate timelines might there be where a player never drafted in our reality went on to the Hall of Fame? What happens to those guys in the reality where they were never drafted? Do they grow old believing that if they just gotten the chance... or did they believe it when they're told they just aren't good enough? What might any of us accomplish if given the right opportunity and direction?